The Fade-Out chair designed by Nendo of Japan, is such a great concept that could only be achieved with modern production methods. The shape is a simple elegant form, but the execution is stunning. 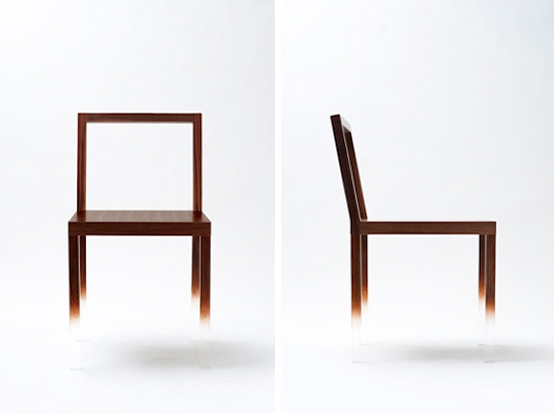 Nendo married wood and acrylic to produce a chair that looks as though it is floating above the surface of the floor. 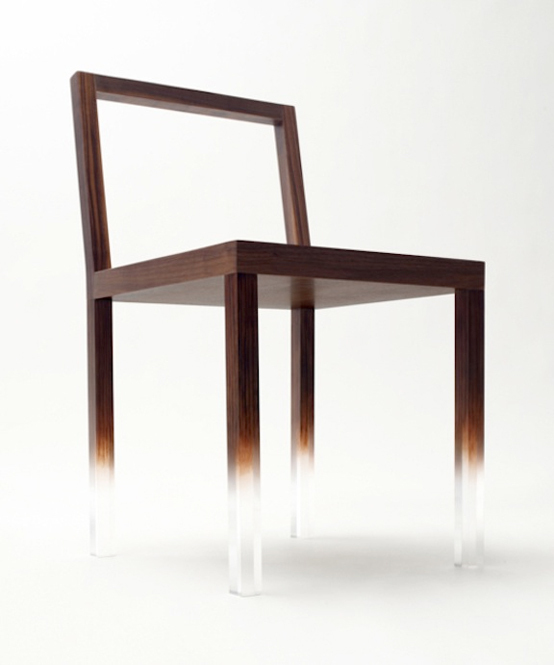 The seat and back are made of solid wood, and the legs are acrylic that has been painted to match the wood texture in order to create the full illusion. The legs are specially painted by craftsmen so that the wood grain appears to gradually fade away as it descends toward the floor.